With only seven games under their belt and 18 games left in the 2018-2019 season, the Swarthmore women’s basketball team has settled in as it approaches the long season ahead. Their season began a little over two months ago, giving the team a full month of practices before their first game on November 5. The 11-person roster has grown increasingly close as the season progressed. Jayna Jones ’21 contributes this closeness to their team-bonding trip to Cape May, New Jersey, during fall break. Although this trip was not as warm as their trip to Puerto Rico last year, it allowed the team to grow closer which is an important aspect when building team cohesion on the court. The women’s basketball team is currently fundraising for their fall break trip next year where they will travel to Spain and France. Although the team lost three seniors last year they have gained three freshmen and one walk-on sophomore. All four of these new players have been making an impact both on and off the court either by improving team dynamics or being a major impact during games. Faith Nation, a sophomore walk-on, has played in all six games of the season so far and has averaged 6.3 points. The three freshmen have together averaged 14 points per game and have had a big court presence this season. Abigail Pirron ’20, who has started every game since her sophomore year, is currently leading the team in scoring averaging eight points per game. 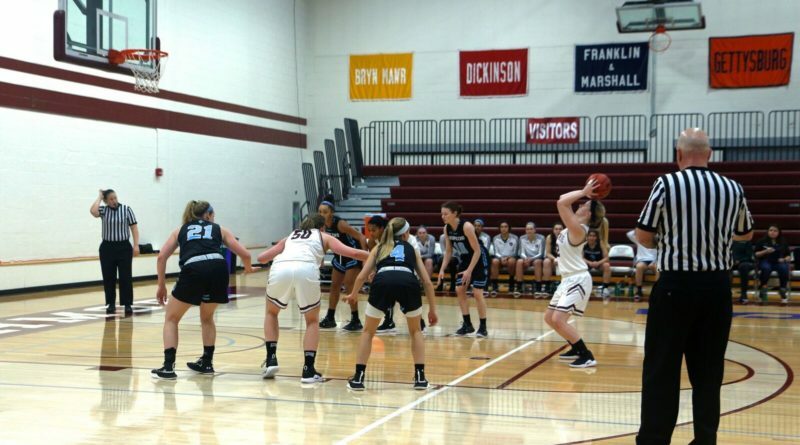 Although they started off the season with a loss against Penn State Abington, the women’s basketball team came back strong in the second game of the season. Winning 80-46 against Goucher College, their highest scoring game yet, was a team effort with every player scoring at least once. Faith Nation ’21 and Erin Cronin ’22 were the high scorers of the game with 14 points each. 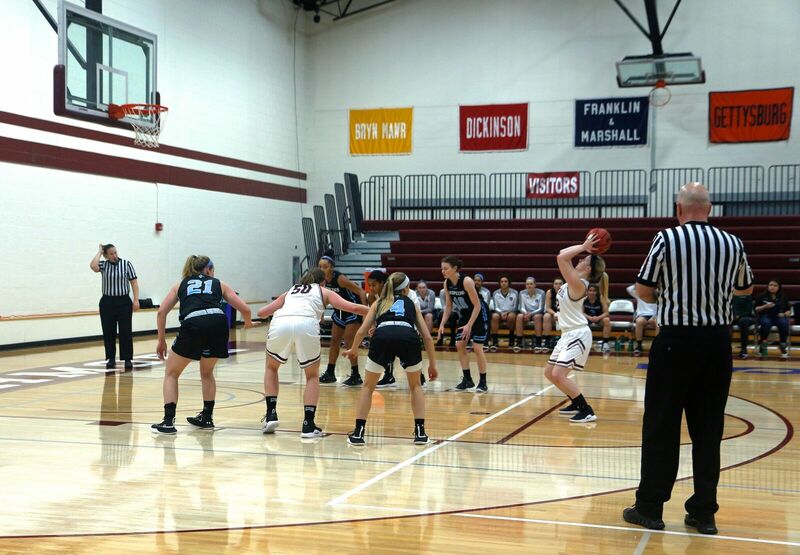 Swarthmore women’s basketball hopes for more games like this where they can come away with a win thanks to a team effort. The women’s basketball team has been practicing incredibly hard. They hope this hard work and time will pay off this year as they continue their conference play. Having only played four out of their season’s 20 conference games, they still have plenty of games left to improve their record from last year, which was 4-21. Their next home game is January 5 against McDaniel, so while most of us our enjoying our winter break, women’s basketball will be on campus practicing and continuing their season.